SUNDAY MORNINGS @ 10:30 a.m.
WE INVITE & WILL WELCOME YOU! To learn about our mission, vision and values, and to see a copy of our 2017 Annual Report, click here. 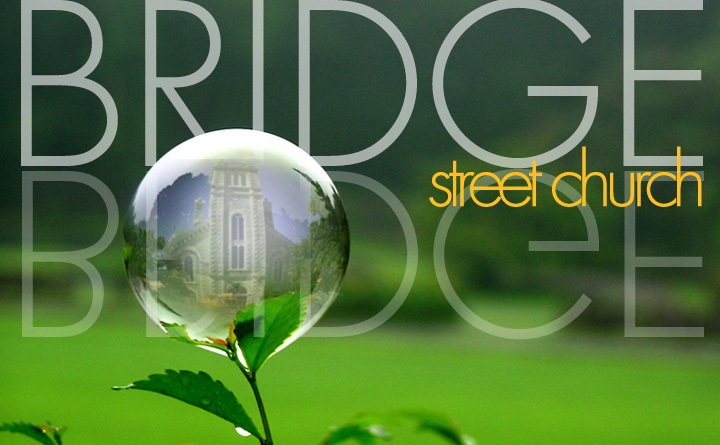 For a listing of up-coming events @ Bridge St., click here. To participate in the life and work of Bridge Street United Church, we invite you to join us for worship any Sunday. To move directly to our Food Ministry page, click here. Click here for answers to other questions you may have. To donate now to the ministry and mission of Bridge St. United Church, click the “Donate Now” button, below, to contribute through “CanadaHelps”. Tuesday to Friday, 9 to noon and 1 to 5 p.m.
After reviewing this home page, click here to visit our “how do I?” page, where your questions about BSUC may be answered with the click of a button! Both our Church Street and Bridge Street entrances are fully accessible. From our Bridge St. entrance, an operator-assisted lift enables access to all three levels of our building. Large-print orders of service, announcements, hymn books, and FM Hearing System headsets are available. Quinte Deaf Fellowship conducts worship services from the Bridge Street Chapel, Sundays, beginning @ 10:30 a.m.
Bridge St. United Church seeks to be a “scent free” environment. Please refrain from wearing strong scents that can impact the health of others.